Some seniors want to stay in the house they worked so hard to buy. Others want someone else to do the maintenance and make repairs. If you target this market to fill your senior housing facility, you'll have chosen a viable business. By 2020, about 14 million people will be over 85 and 16 percent those will need senior housing. active senior is seeking more than a mailing address -- they want a lifestyle. Find a commercial real estate agent familiar with the large residential housing market. Ask your agent about properly zoned areas near businesses seniors patronize such as community clubhouses, park districts, golf courses, medical facilities and shopping centers. Apply for a mortgage for your senior housing facility. Strike the best deal with a mortgage broker who can sample and compare rates and who often handles everything from the property inspection to the closing. If you know someone with a bank or lending institution, start there. Hire a building inspector with senior residential experience. High-rises are vulnerable to construction and maintenance problems that ranch-style buildings don't have. A good inspector will save you time and money. Contract with a renovation specialist to refurbish the facility to your specifications, keeping in mind the unique needs of seniors. You may need to remove walls to create or enlarge dining, community or game rooms or to bring electrical or plumbing lines up to code. Hire a decorator to oversee aesthetic improvements. Find a commercial real estate agent to scout out properties zoned for multiresidential construction. You'll find either inexpensive land in areas with few amenities or expensive urban property near recreation, shopping, medical care and the other services seniors crave. Follow Step 2 in this article's first section, but with a mortgage for the land and the construction, which you'll need when building from the ground up. Hire an architect and a general contractor familiar with seniors-only residential construction. Work with a decorator to address issues unique to senior facilities-- from brighter lighting for aging eyes to wheelchair accessible hallways and elevators. Have an insurance agent draw up a package that covers exterior damage from acts of nature, interior contents of common rooms and general insurance protecting individual units from fire and flooding. Add liability coverage to indemnify you against personal injuries on the property. Consider an umbrella policy as well. Obtain occupancy and community-mandated licenses and permits before you open your doors. In most states, you'll need a permit or license to operate a kitchen if meals are prepared on site and sanctions from the health and fire departments. 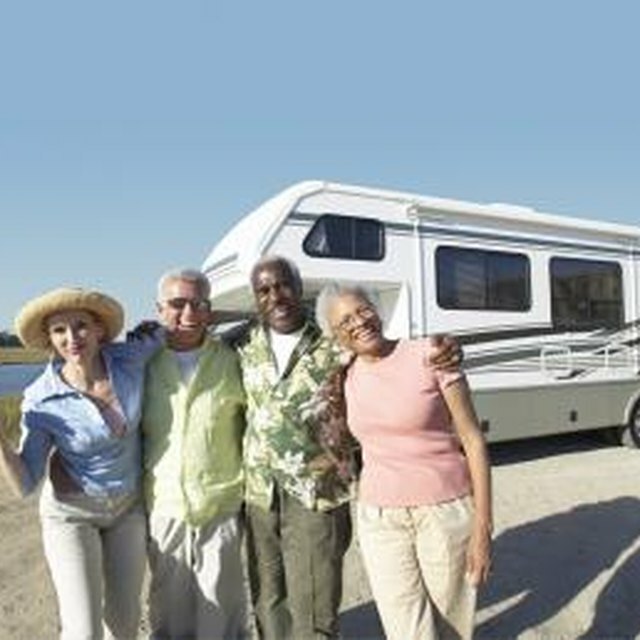 Have an attorney draw up your leasing agreements so situations unique to seniors are covered. Hire a building manager with experience managing a senior complex. Recruit a social director immediately to begin scheduling activities like card games, picnics, theater excursions and other events. He or she will survey residents for other ideas. Make sure your social director candidate's diplomacy skills are as good as his or her organizational skills because this employee can make or break your community's social organization. Consider adding "extras" that other senior housing facilities offer, such as on-site concierge services, communal transport, in-house beauty and massage services and other extras. Again, ask your tenants, and if you find there's a demand, fulfill it. Comply with the Fair Housing Act. This law prohibits discrimination, so whether your senior housing facility has 10 units or 100, follow Housing and Urban Development agency guidelines to avoid being penalized for turning away applicants. Fines are hefty; up to $25,000 for the first and upwards of $100,000 for multiple complaints. Obtain HUD guidelines to start out on the right foot.